Placement is everything! Which came first? The things you find in the trash. 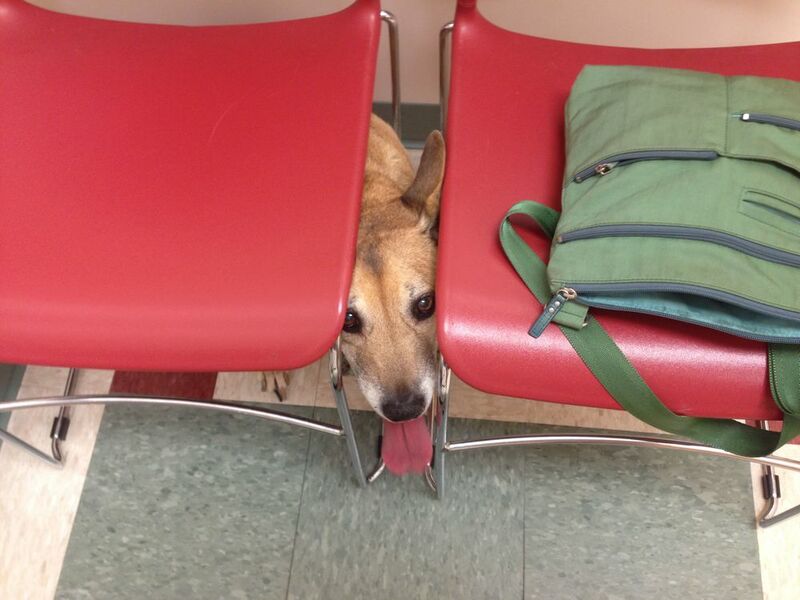 At the vet. And it's raining.